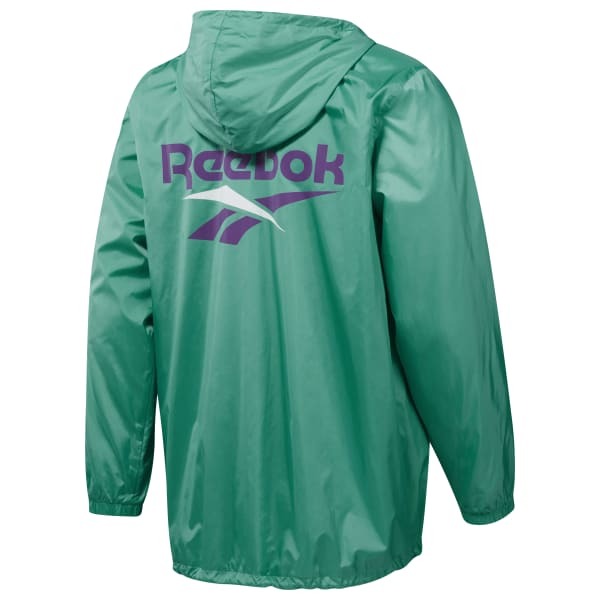 A sporty windbreaker with vintage-inspired Reebok graphics. 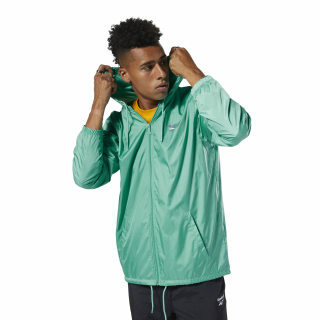 Vector logos give a retro vibe to this men's windbreaker. Made of lightweight plain weave, it has a loose, relaxed fit for a casual feel.